Finding excuses to go outside to get some fresh air can be a tough task for any parent. Outdoor napping is a great way to get both you and your child in the sunlight. Linda Åkeson McGurk, author of THERE’S NO SUCH THING AS BAD WEATHER, gives you some tips on how to keep your child content and happy during nap time. Very young babies should sleep on their backs in a stroller that has a flat bottom or a bassinet attachment. Place the stroller near a wall and out of the wind, and make sure that the baby is protected against rain. In the summer, make sure that the sun is not shining directly into the stroller. Use a mosquito net to protect the baby from bugs, stray animals, and debris that may blow into the stroller. In the winter, dress the baby in warm layers (preferably starting with woolen long underwear in very cold temperatures) and use a bunting bag. Lining the stroller with lamb’s wool helps insulate it. Avoid over-bundling, since this can restrict airflow around the child’s face and increase the risk of sudden infant death syndrome. ✳ Place a baby monitor by the stroller or crack a window, and check on the child regularly. 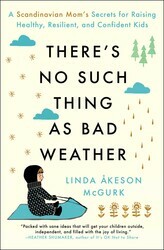 For more advice on how to encourage your kids to step outside check out THERE’S NO SUCH THING AS BAD WEATHER by Linda Åkeson McGurk. 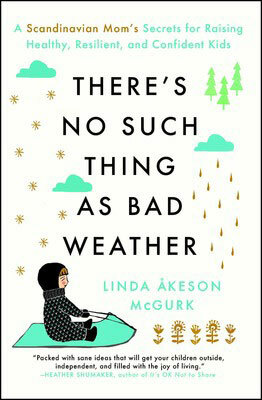 Excerpted from There’s No Such Thing as Bad Weather by Linda Åkeson McGurk. Copyright © 2018 by Linda Åkeson McGurk. Used by permission of the publisher. All rights reserved. Bringing Up Bébé meets Last Child in the Woods in this “fascinating exploration of the importance of the outdoors to childhood development” (Kirkus Reviews) from a Swedish-American mother who sets out to discover if the nature-centric parenting philosophy of her native Scandinavia holds the key to healthier, happier lives for her American children.Could the Scandinavian philosophy of “There’s no such thing as bad weather, only bad clothes” hold the key to happier, healthier lives for American children? When Swedish-born Linda Åkeson McGurk moved to Indiana, she quickly learned that the nature-centric parenting philosophies of her native Scandinavia were not the norm. In Sweden, children play outdoors year-round, regardless of the weather, and letting babies nap outside in freezing temperatures is common and recommended by physicians. Preschoolers spend their days climbing trees, catching frogs, and learning to compost, and environmental education is a key part of the public-school curriculum. In the US, McGurk found the playgrounds deserted, and preschoolers were getting drilled on academics with little time for free play in nature. And when a swimming outing at a nearby creek ended with a fine from a park officer, McGurk realized that the parenting philosophies of her native country and her adopted homeland were worlds apart. 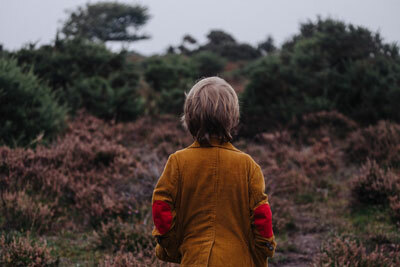 Struggling to decide what was best for her family, McGurk embarked on a six-month journey to Sweden with her two daughters to see how their lives would change in a place where spending time in nature is considered essential to a good childhood. Insightful and lively, There’s No Such Thing as Bad Weather is a fascinating personal narrative that illustrates how Scandinavian culture could hold the key to raising healthy, resilient, and confident children in America.